This program is split into three phases. An introductory leadership forum is held in Sydney on Wednesday, 1 May. Following the first forum, participants will undertake a ‘workplace project’. Participants will present their project at a final leadership forum in Brisbane on Thursday, 1 August. Scholarships cover the entire tuition costs, and the skills and confidence gained from this program will help position you and your business at the forefront of industry growth. The course will focus on positive management and communication practices, leadership skills, and advice on how all elements can drive productivity at the business level. Past scholarship recipients have had positive experiences with this program, citing how it gave them the tools to progress their career and business. As a participant in 2018, Kristian said the program instilled in him greater confidence as a nursery manager; a change reflected in his new approach to management and communication. Redland City Bulletin recently caught up with Kristian to discuss the Green Leaders program and changes he has implemented in his business. This year, he hopes to use these skills to implement more conveyer systems into the business, and reduce manual labour of his staff. 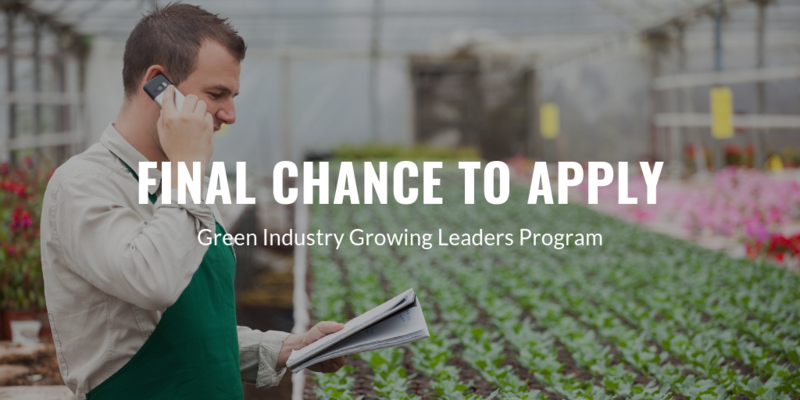 To support the growth and prosperity of the nursery and garden industry, it’s vital that we foster the development of our staff; ensuring they have opportunities to learn and grow as the future leaders of our industry. If you’re looking to improve your leadership skills, this program can help give you the tools to ensure your business is equipped for growth and change. Applications for the 2019 program will close Friday, 8th March 2019 at 5pm AEST.